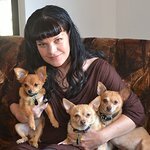 Helen Woodward Animal Center is not just another San Diego no kill animal shelter. We’re a non-profit organization dedicated to saving the lives of animals. Google trends for "Helen Woodward Animal Center"
We don't have any videos related to Helen Woodward Animal Center.